Targeted for commercial multifamily sub-metering as well as residential whole-home metering, Uponor's ProPEX® water service offering is designed for direct connection to water meters sized 5/8 to 1 in. 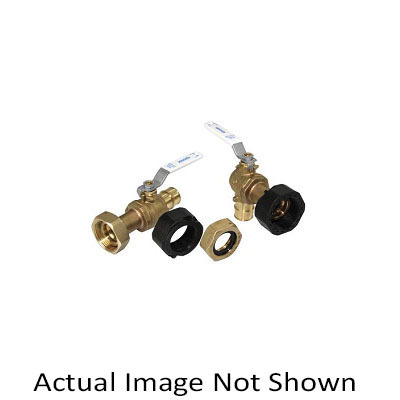 ProPEX® LF brass water meter valves provide a straight or 90-degree connection to water meters for 3/4 and 1 in Uponor AquaPEX® tubing. They are sold as a kit containing the valve along with a gasket and two swivel nuts (EP nuts for plastic meters and metal nuts for metal meters).